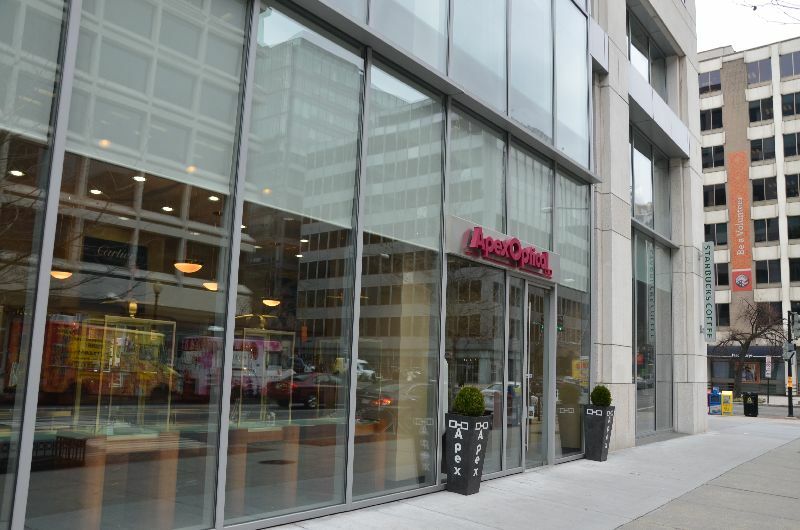 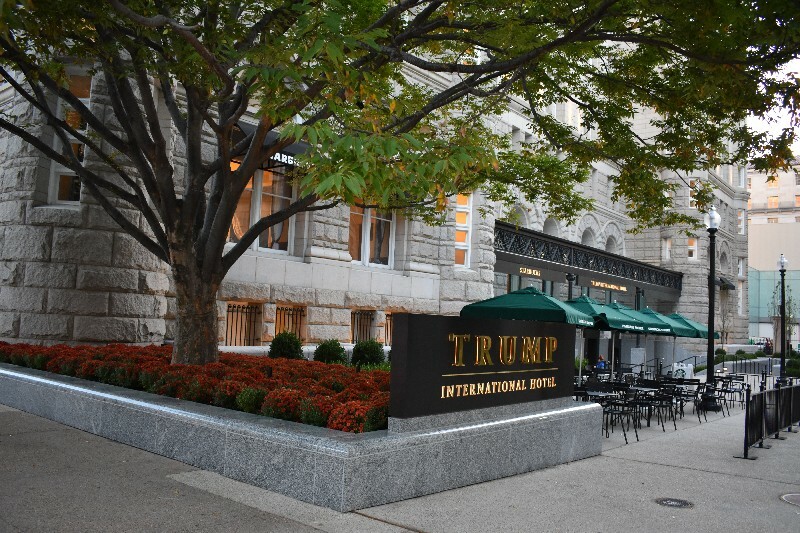 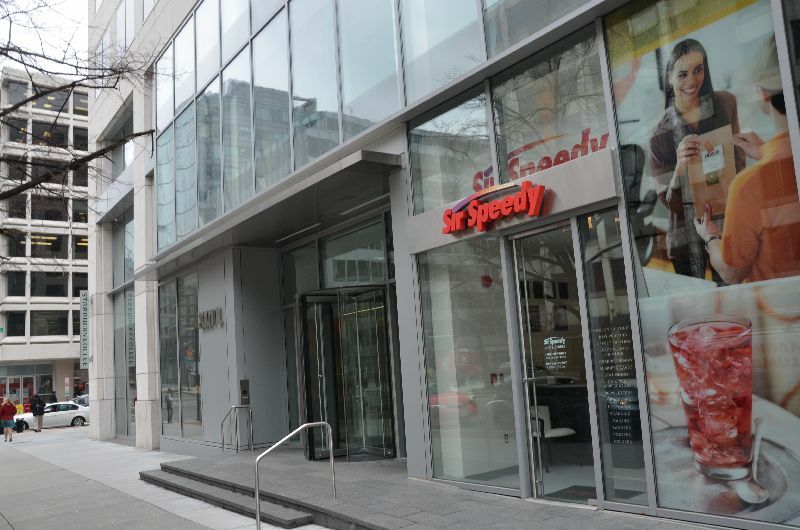 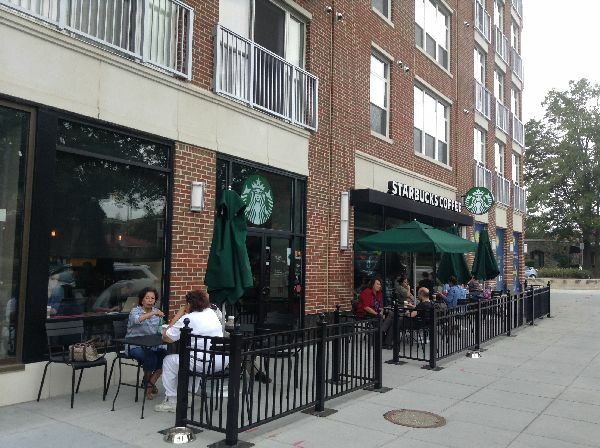 If this store manages to overcome the city's objections and install outdoor seating, customers will have a good view of the White House. 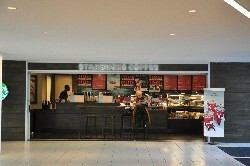 Aaaw yeeeeah! 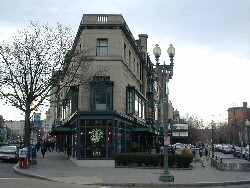 Besides the absolutely lovely architecture of the building Starbucks selected for this location, this store is truly charming. 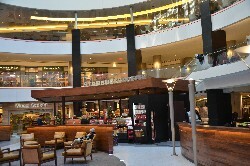 Downstairs the seating in that circular thing at the front of the store (WHAT is it called) looks mighty cozy. 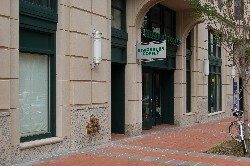 And the store has an upstairs, where the serious students hide with their textbooks. 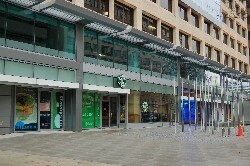 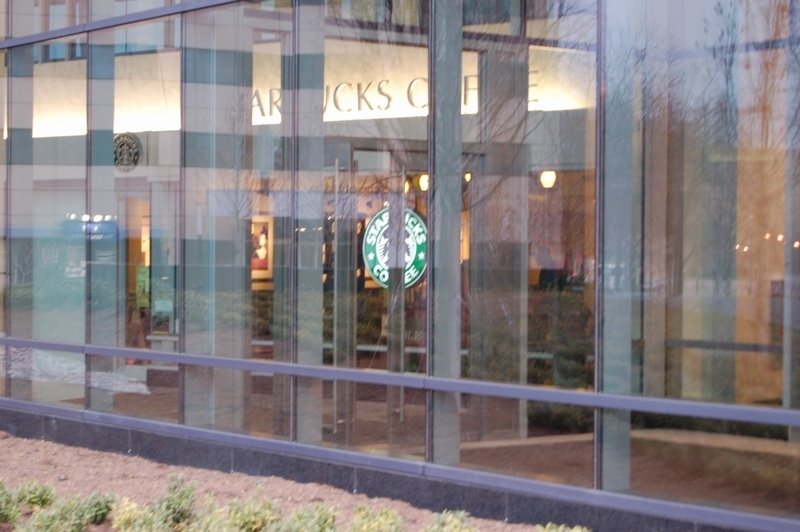 A display on the wall shows a montage of photographs of examples of Starbucks serving the local community. 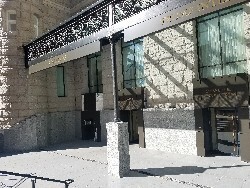 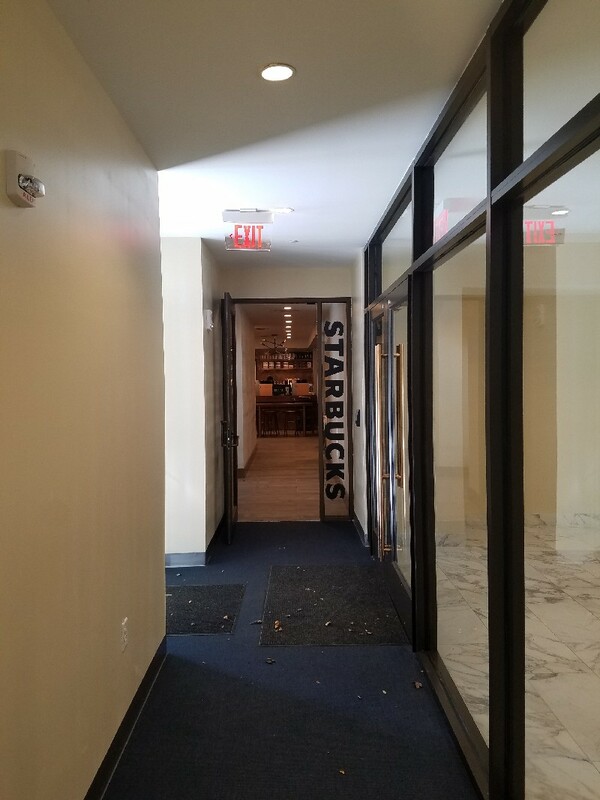 Upon entering this store, follow the brick-colored brick road down to the main floor and the registers, but take care not to be thrown off track by the mirrored columns scattered throughout the structure. 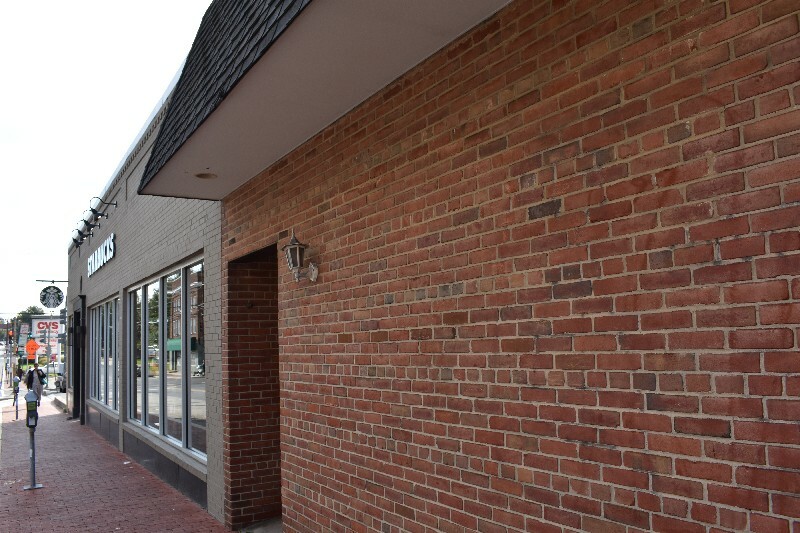 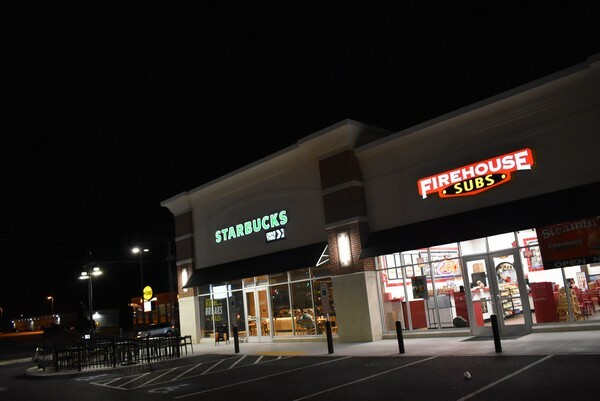 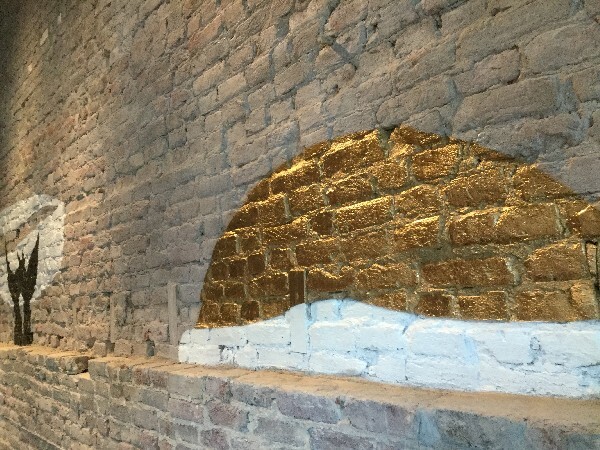 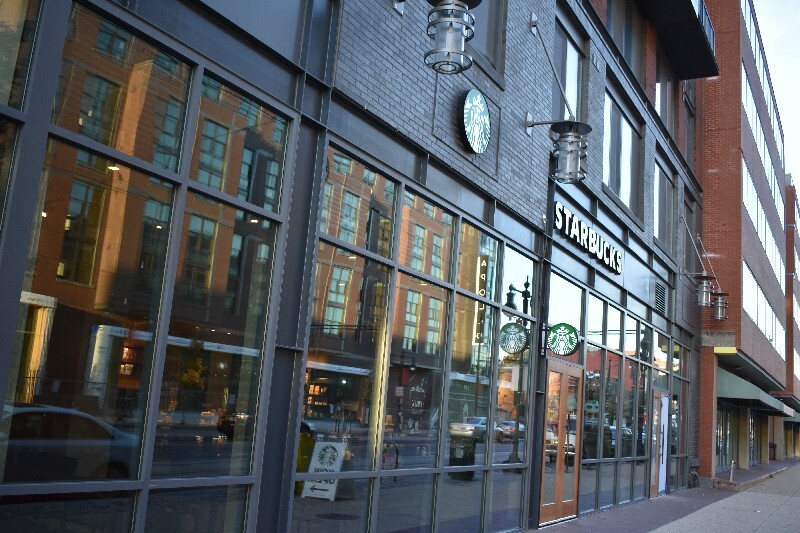 Brick interior gives this newer store a bit of atmosphere, and the patio has obviously become popular fairly quickly. 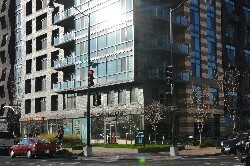 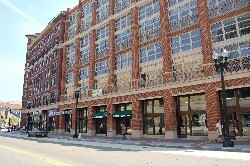 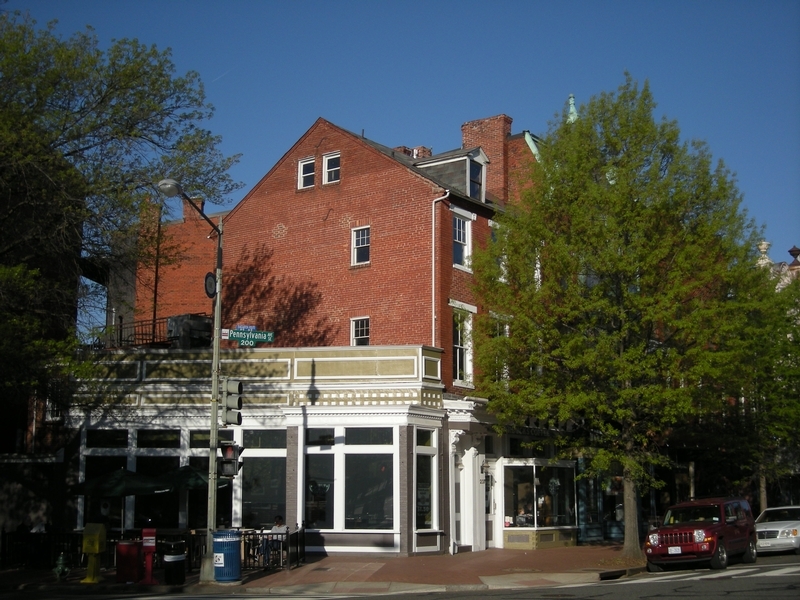 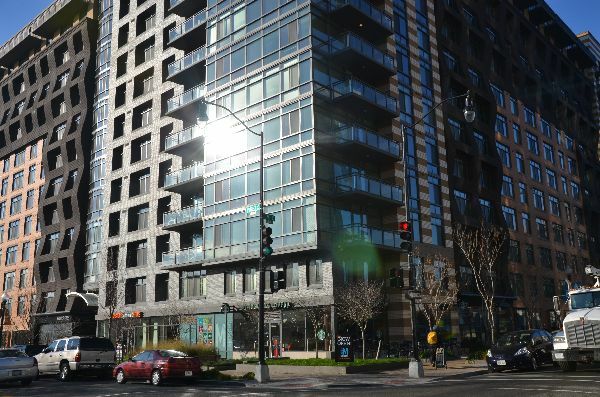 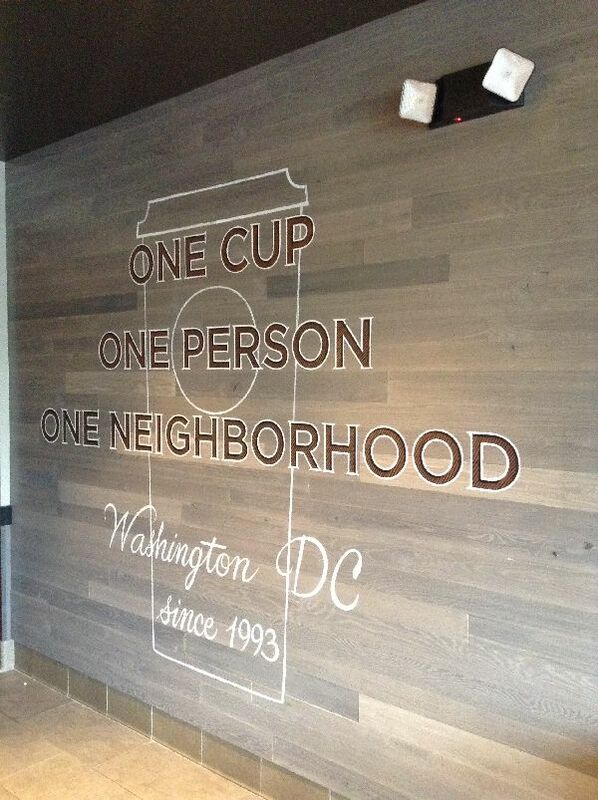 This is the first green (LEEDS-certified) store in DC! 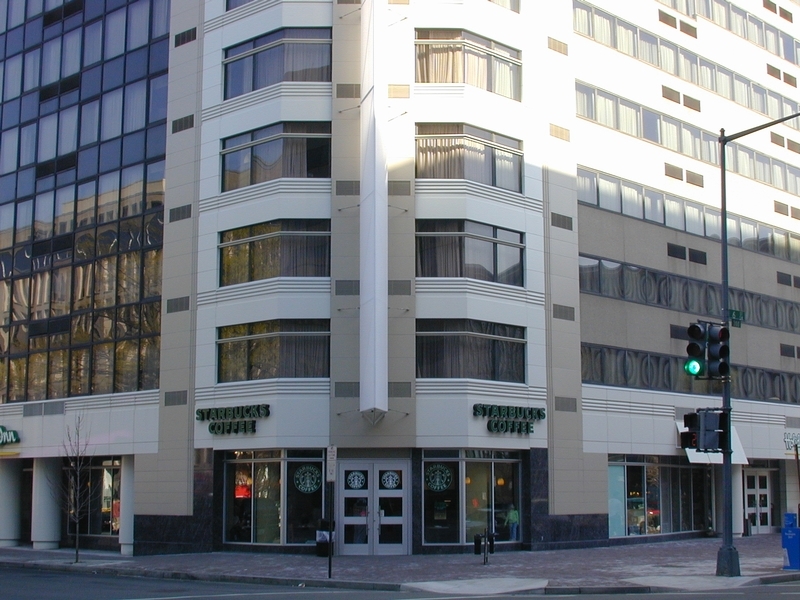 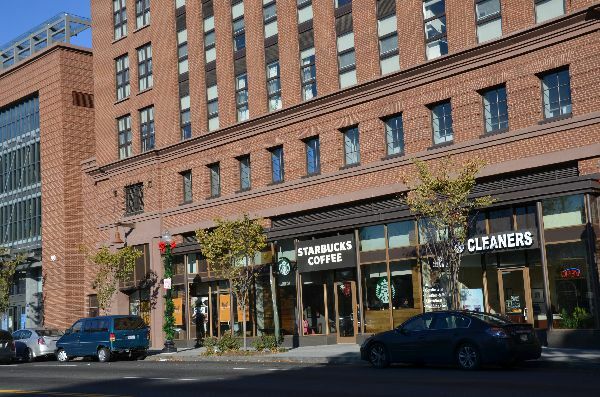 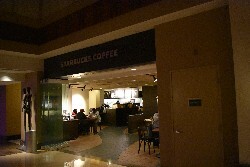 To my knowledge, the only Starbucks sharing space with a Holiday Inn. 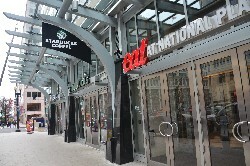 This is the only store in the country with an exterior sign in another language--according to a barista, it reads "Gourmet Coffee", but I'm also told it translates into "Starbucks Coffee" (xing-ba-ke ka-fei, a transliteration of the two words). 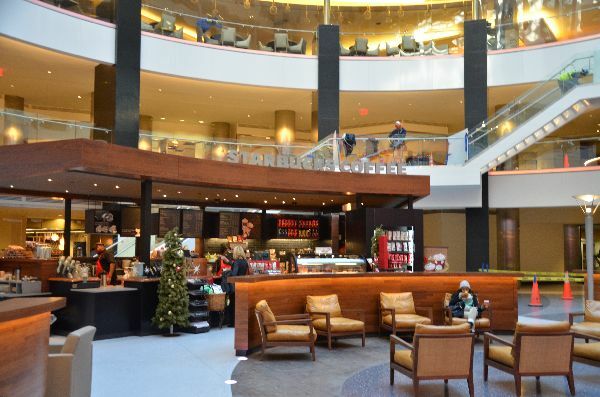 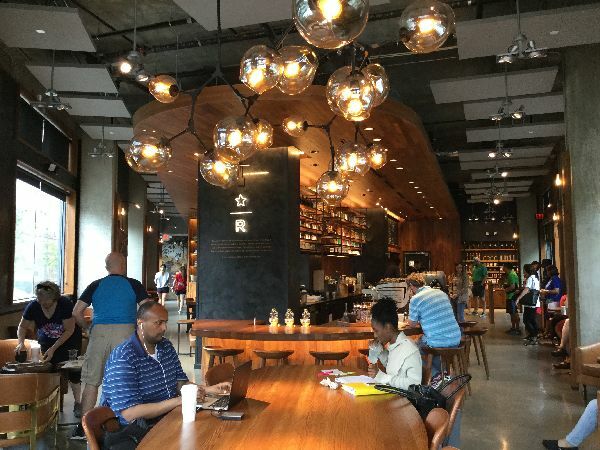 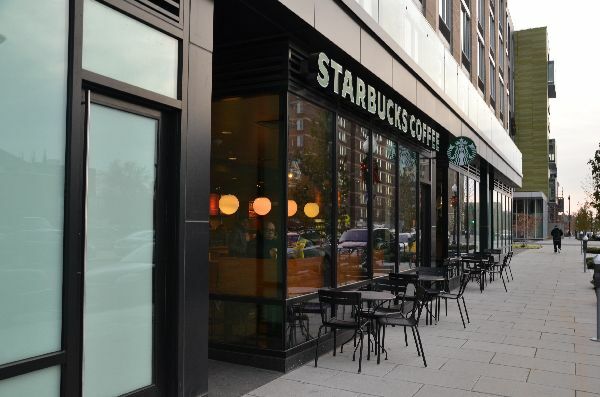 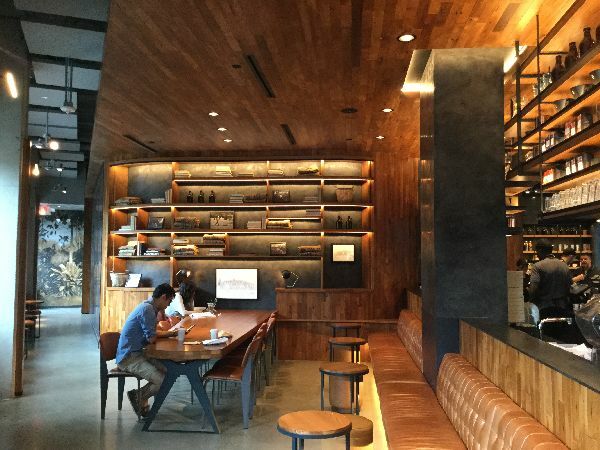 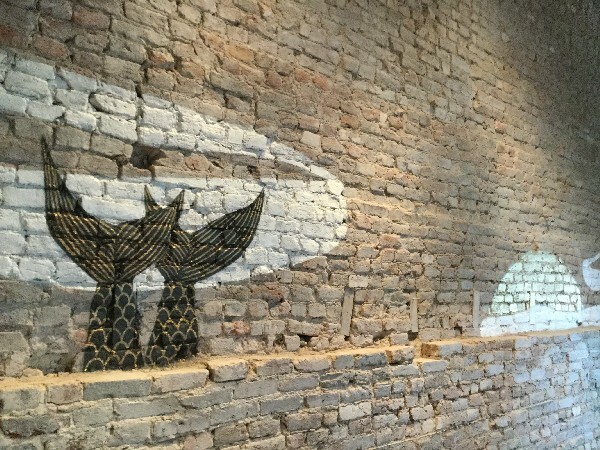 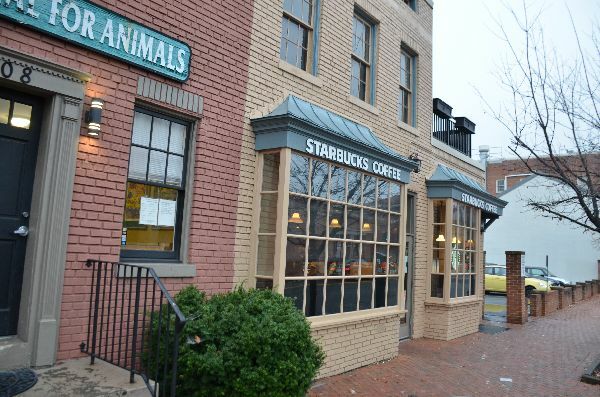 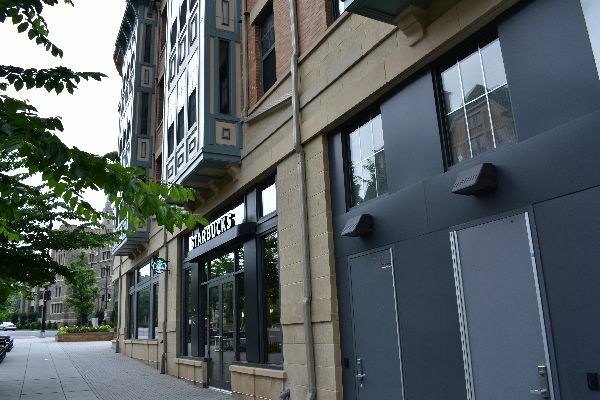 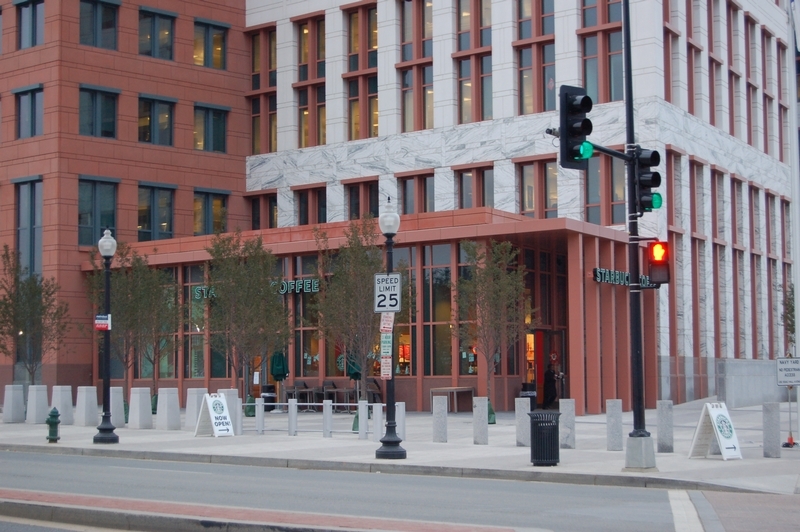 Washington, DC, gets its first Starbucks Reserve Bar! 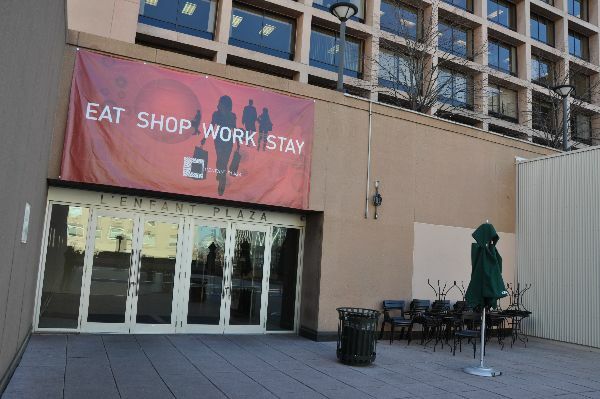 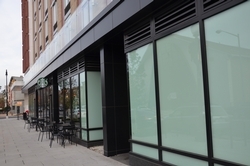 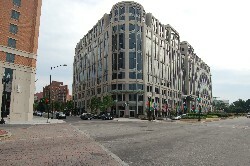 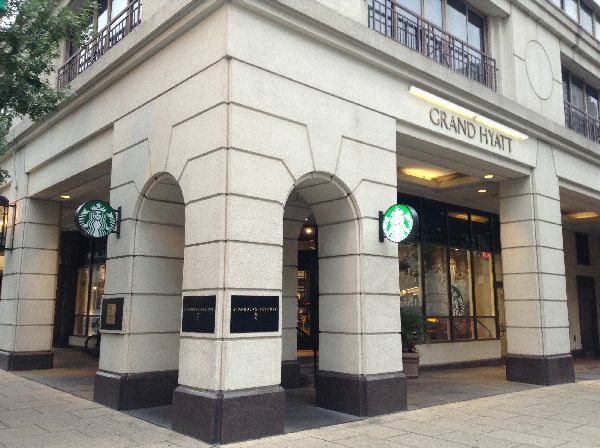 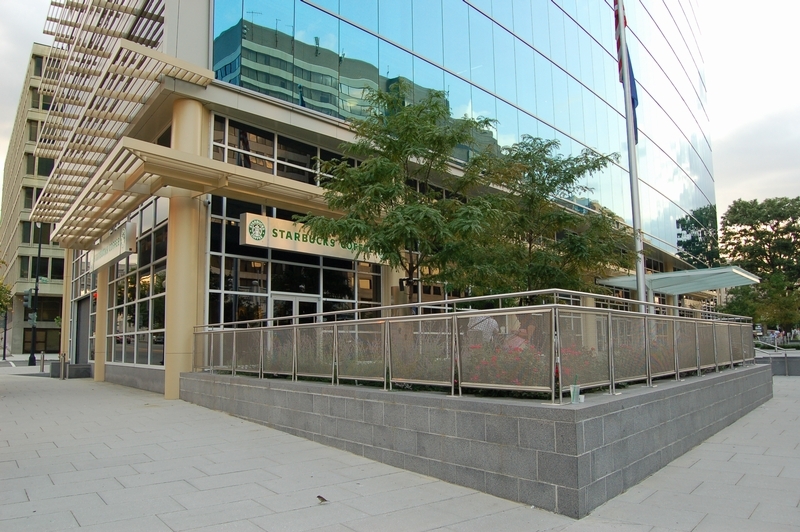 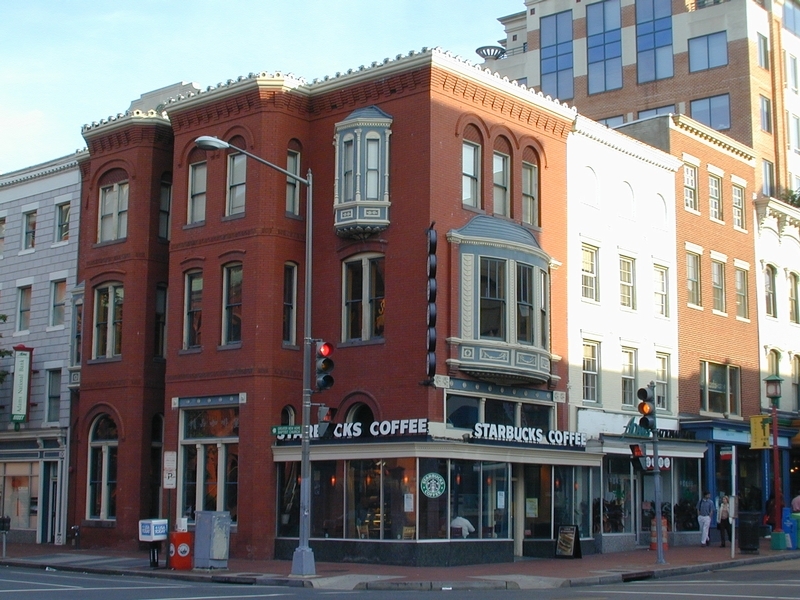 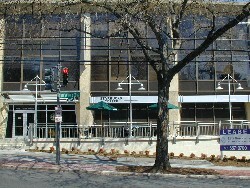 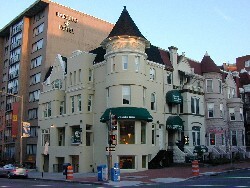 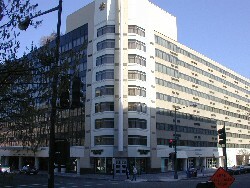 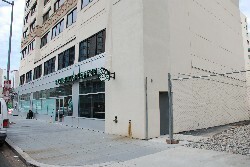 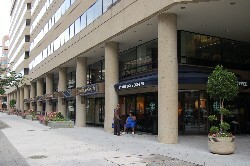 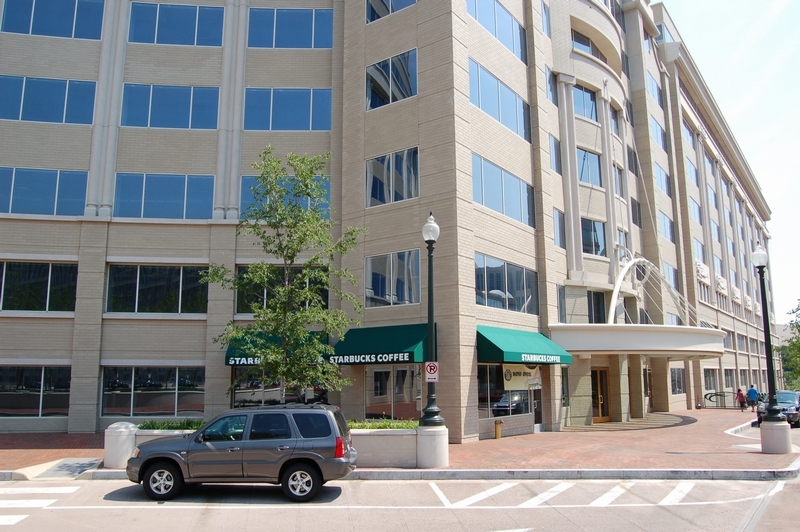 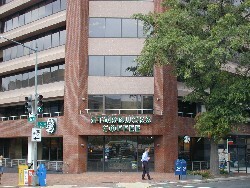 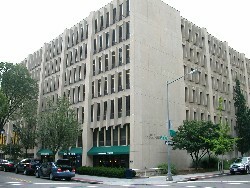 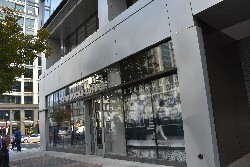 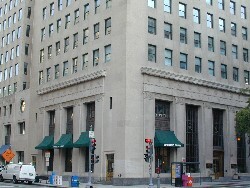 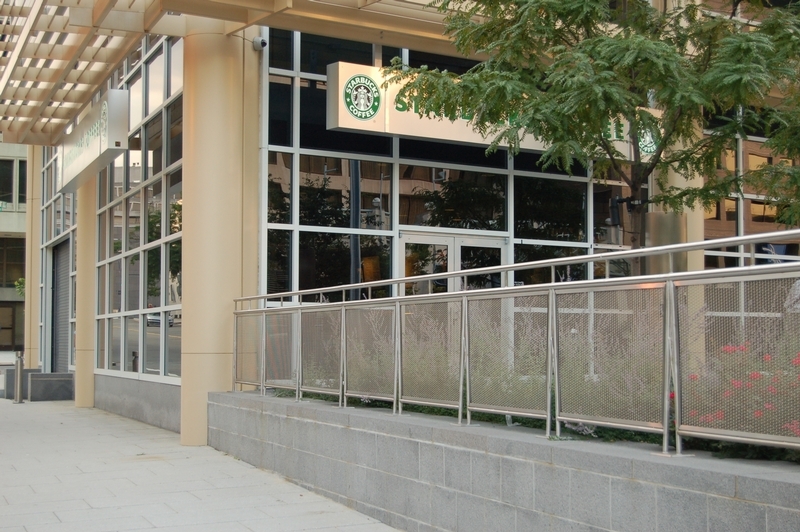 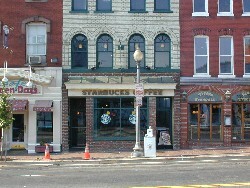 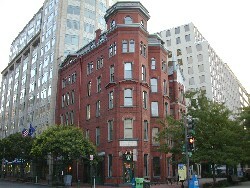 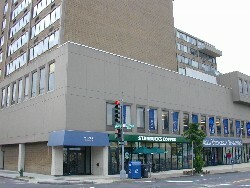 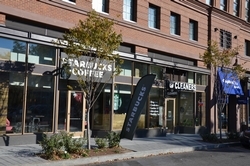 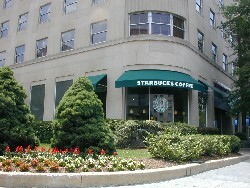 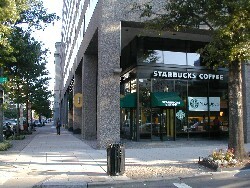 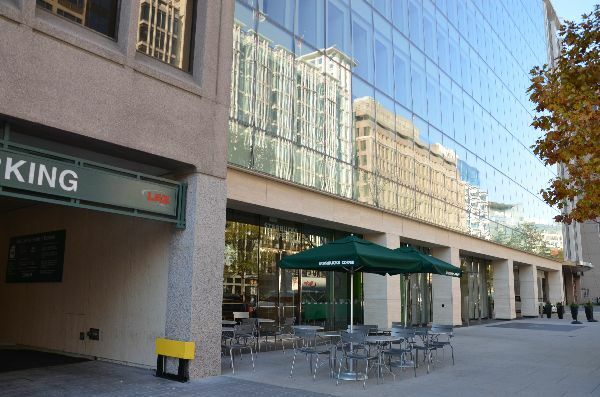 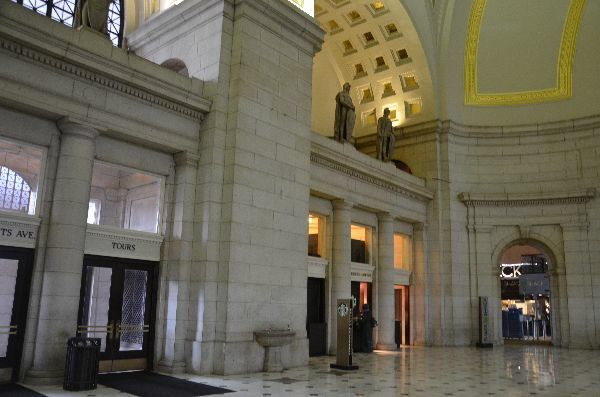 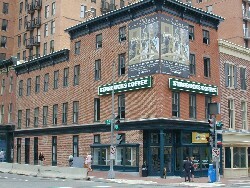 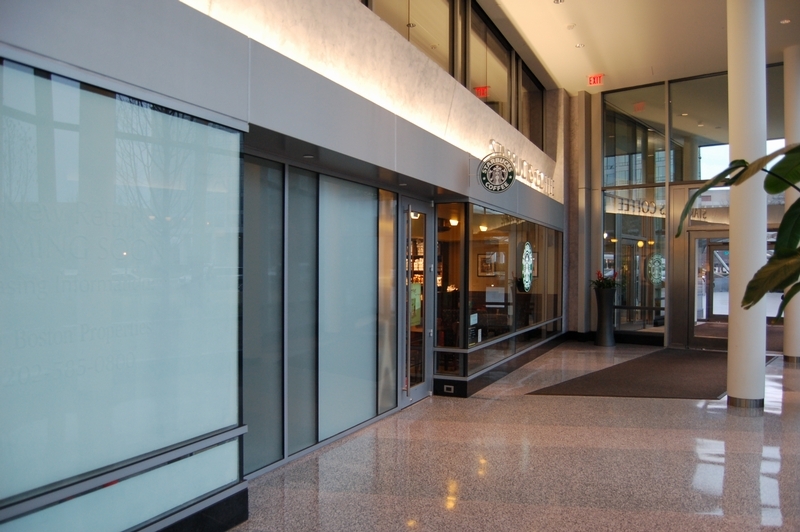 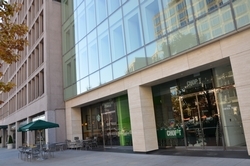 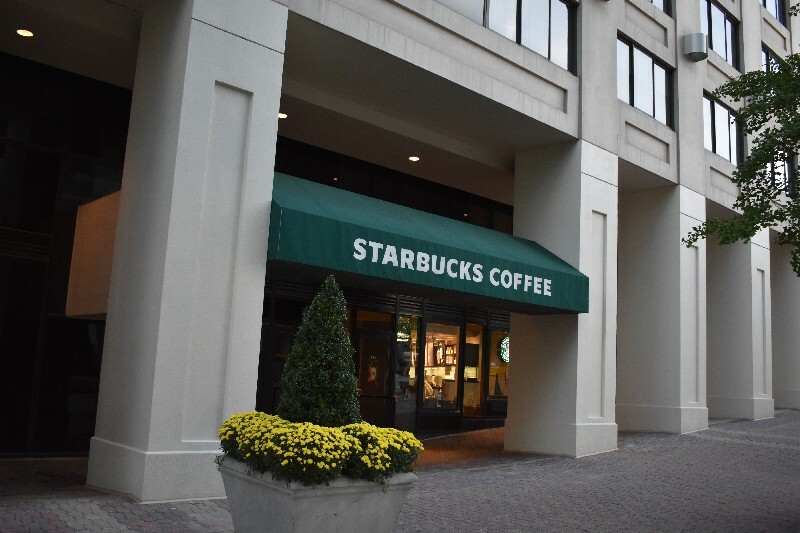 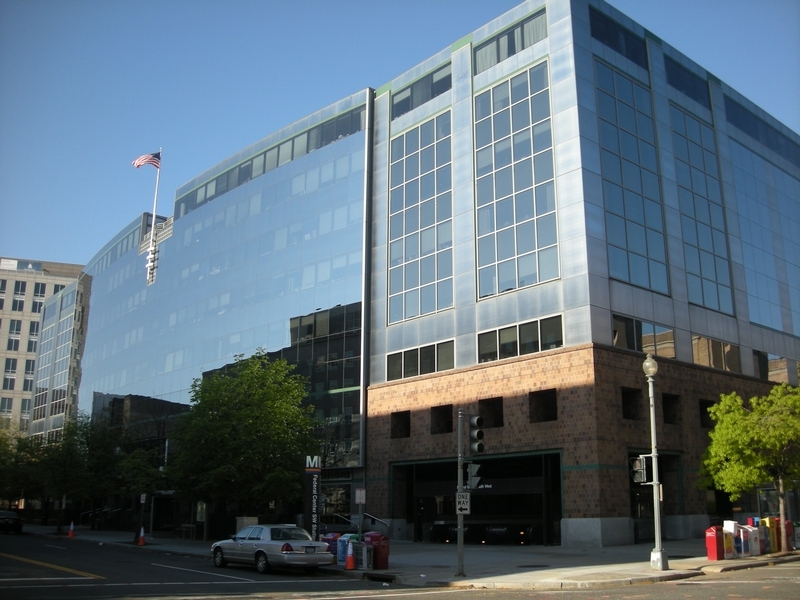 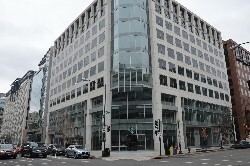 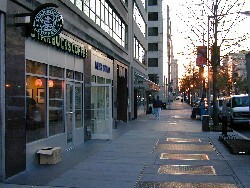 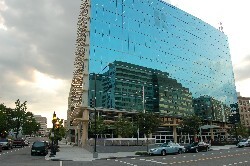 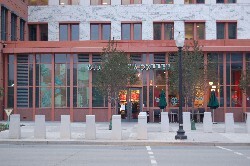 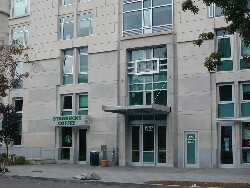 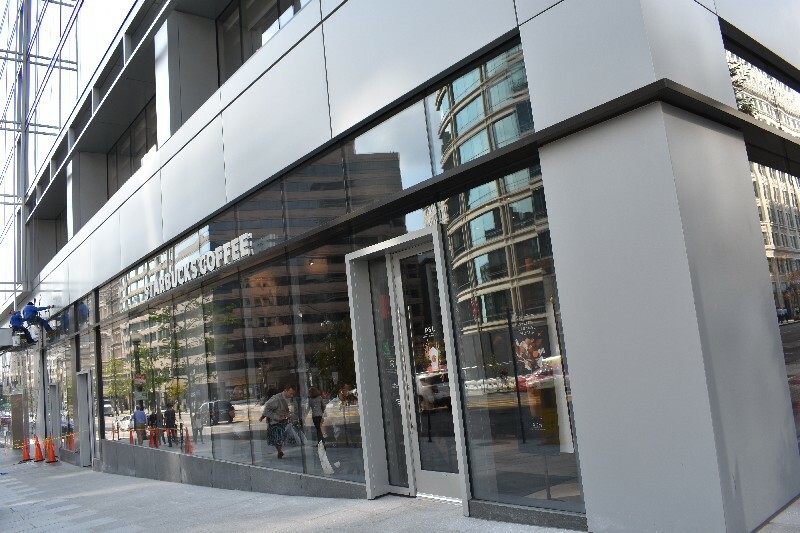 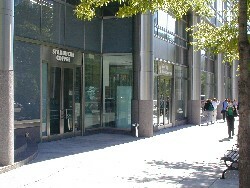 I'm told Capital Gallery is a government building, which would make this the first such Starbucks in DC. 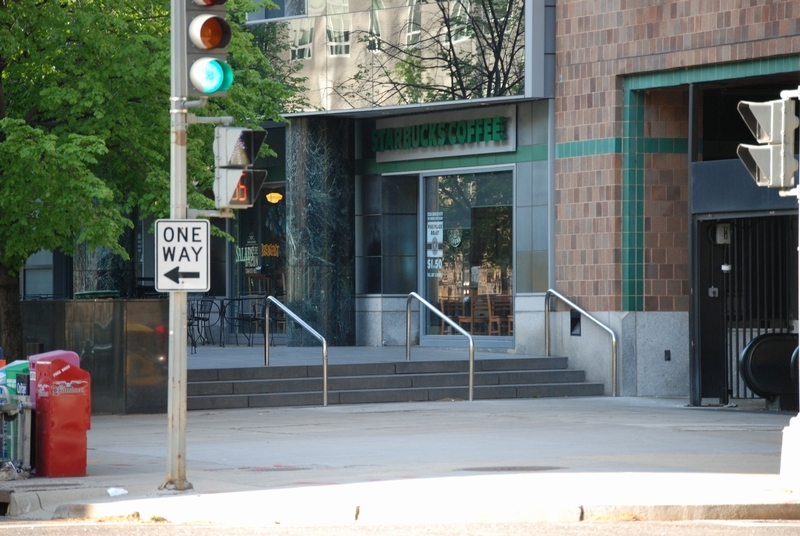 Regardless, the metal sign is pretty cool. 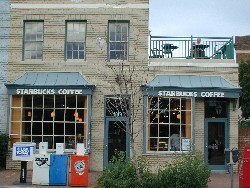 It seems appropriate that this store should have been built in the former Kenny Coffee Co. dating back to the turn of the century. 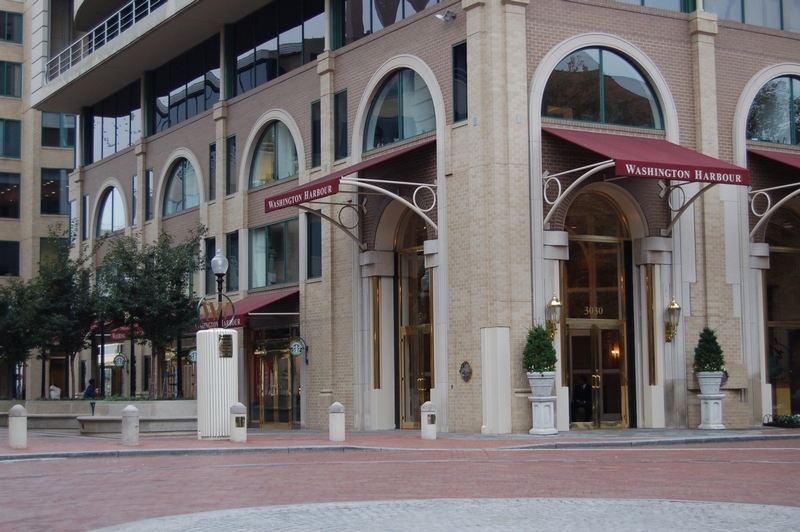 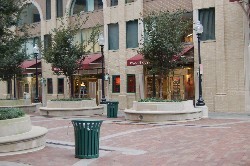 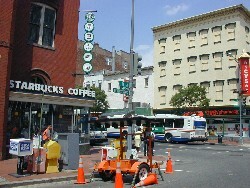 Unfortunately, there was a kiosk that existed while this location was being built, but I missed it. 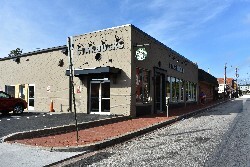 I am told this store contributes (or contributed) profits to a charity that supports victims of violent crimes, in memory of the three baristas killed during a robbery. 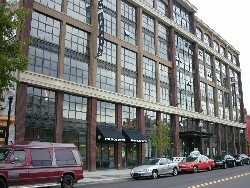 One of the few stores I've seen to share space with a Crate & Barrel. 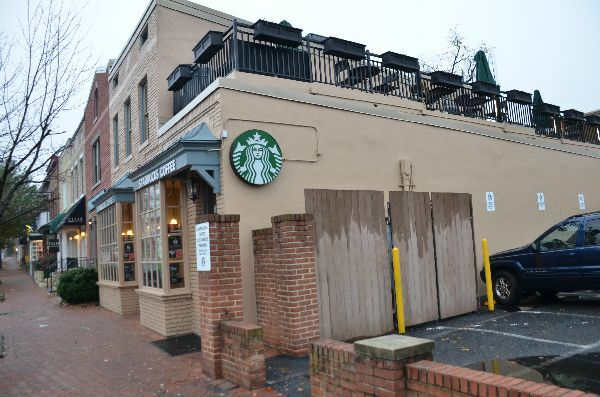 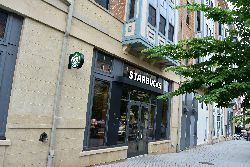 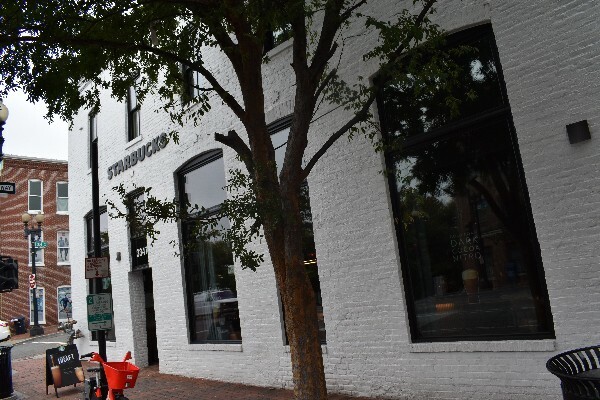 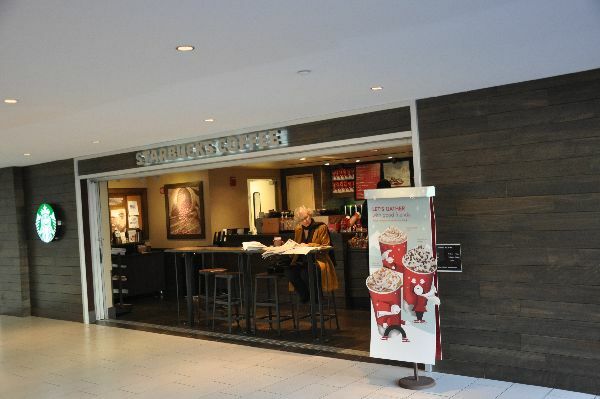 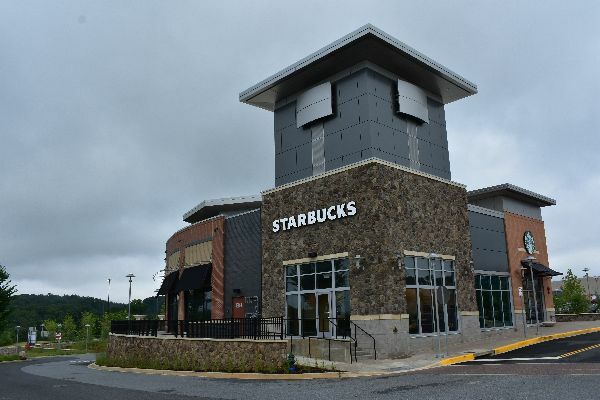 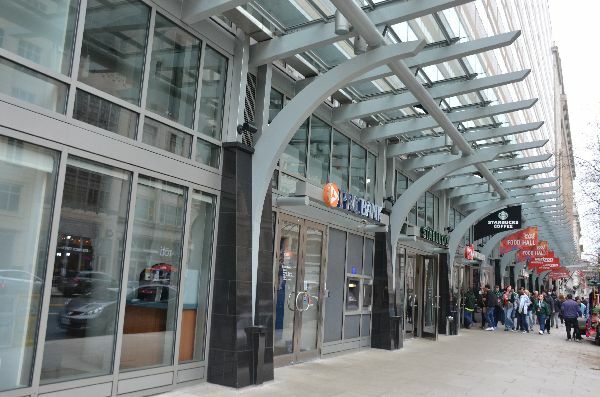 Shame on you, Starbucks--you should CLOSE THIS STORE!!! 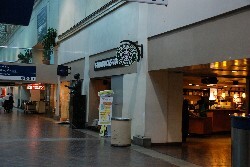 This store relocated after the earthquake, and now a Shake Shack sits in its former location. 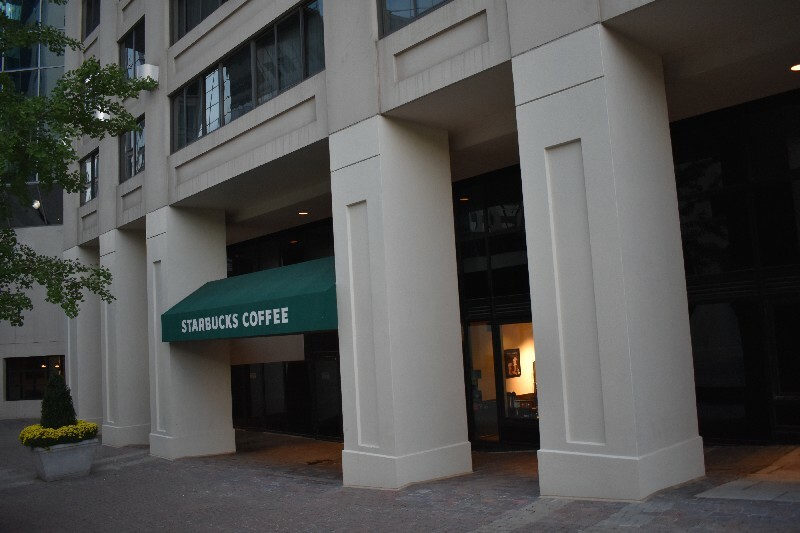 Jeez, I really wish Starbucks would close this store. 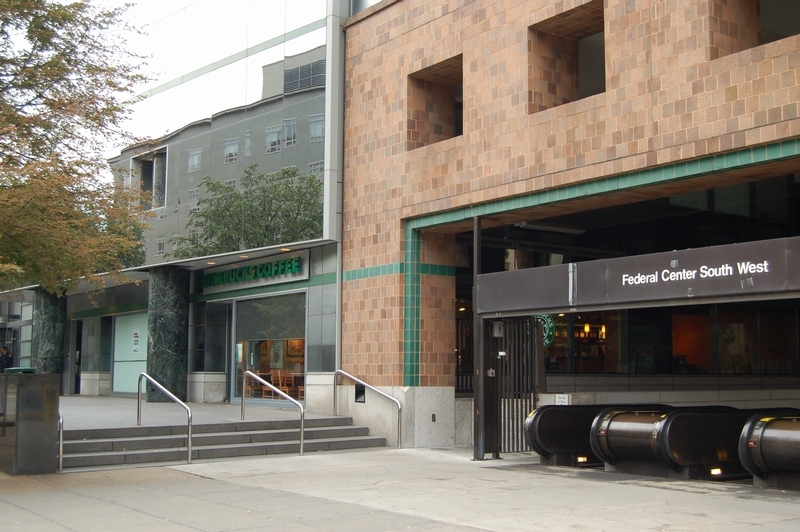 It's really difficult to get the ideal photograph because the Amtrak Police booth is right in front, and I fear that as long as the store is there, I will be compelled to try. 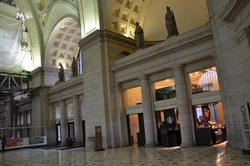 This of course puts me at risk, because Washington, DC, perhaps more so than the rest of the country, is a place devoid of human rights, and every visit to Union Station puts me at risk of ending up in Guantanamo Bay. 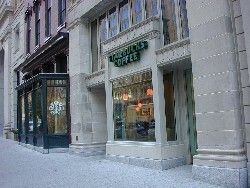 This store is dedicated to Michelle Marcoccia. 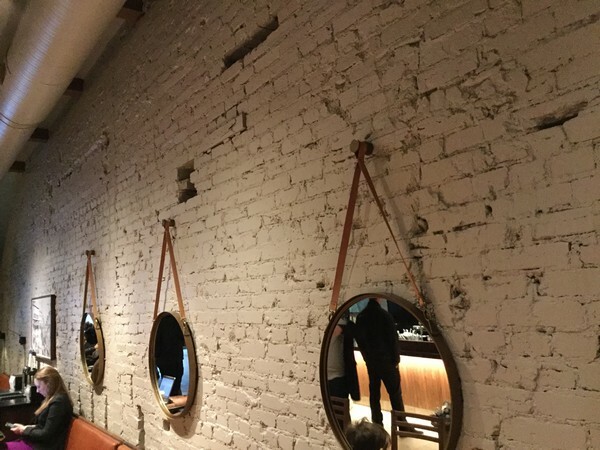 This store enhances its upscale design with an array of mirrors! 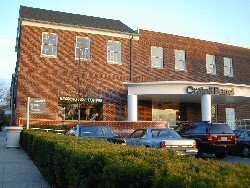 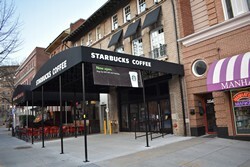 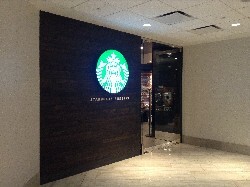 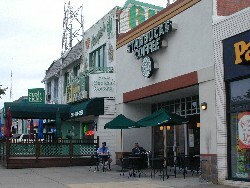 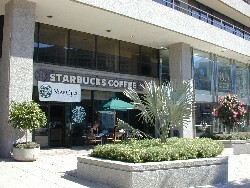 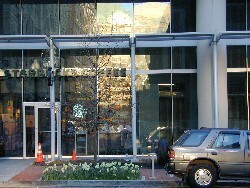 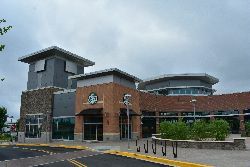 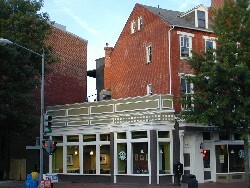 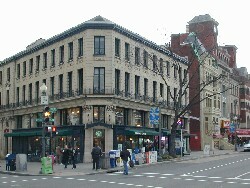 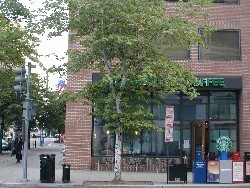 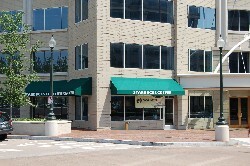 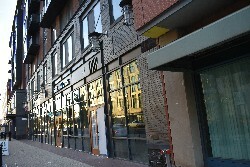 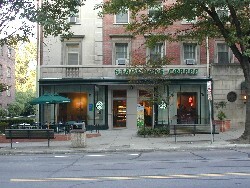 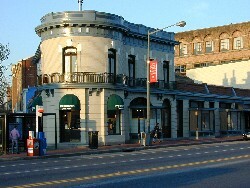 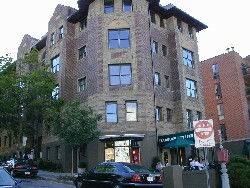 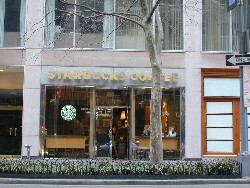 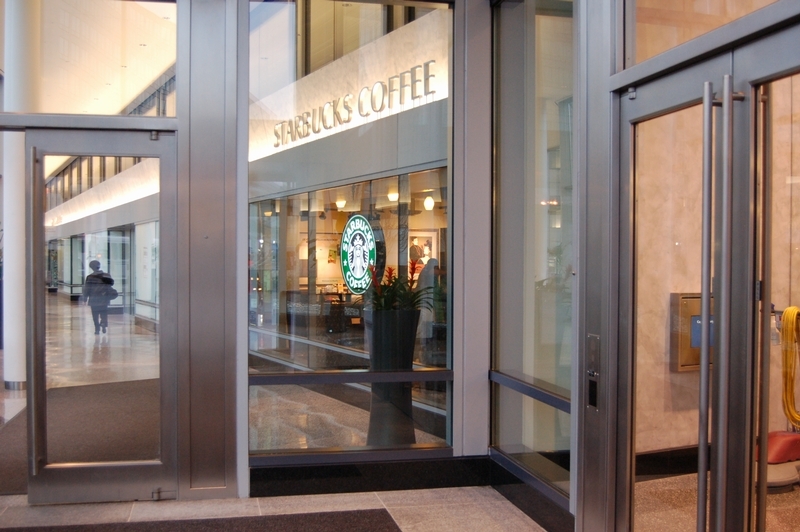 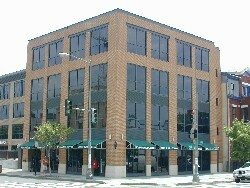 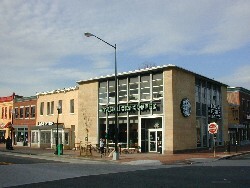 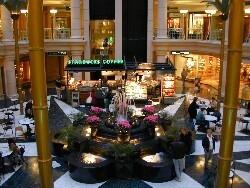 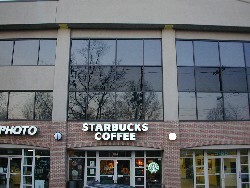 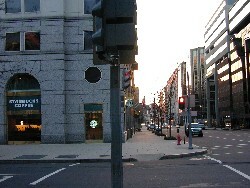 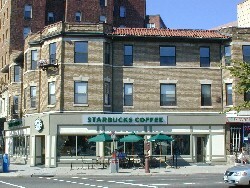 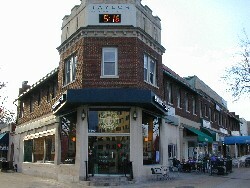 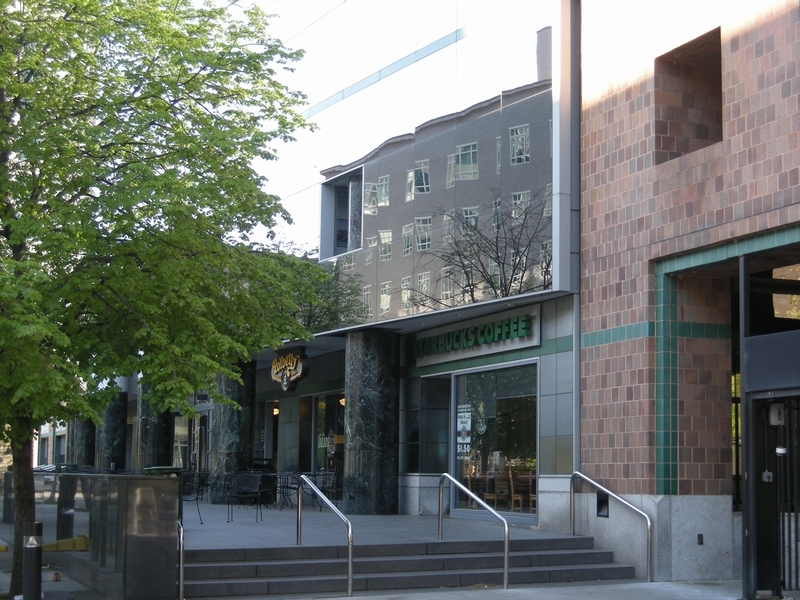 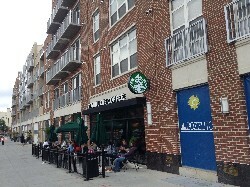 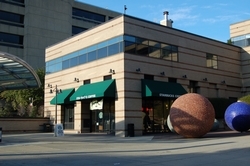 This is not actually a NEW store, but rather one that used to be licensed out, but was converted into a real Starbucks. 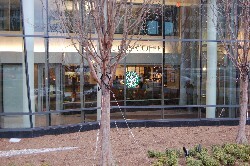 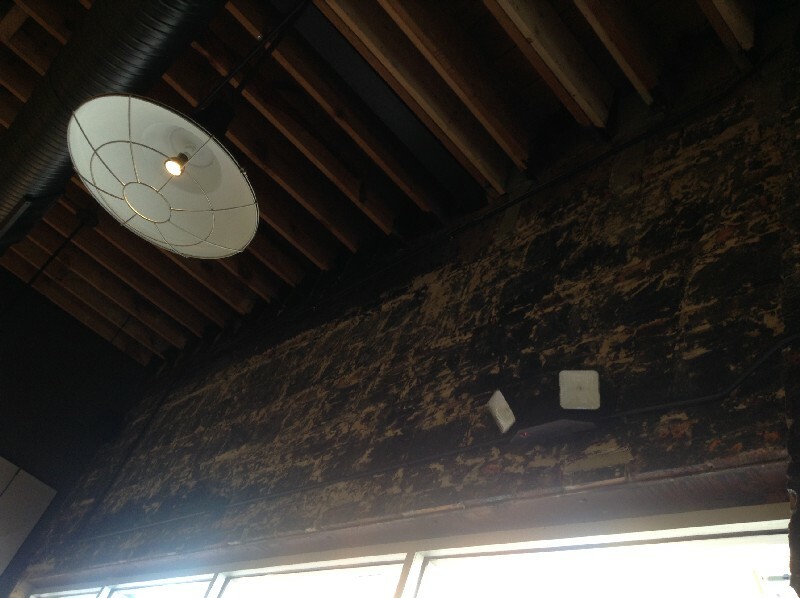 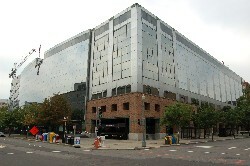 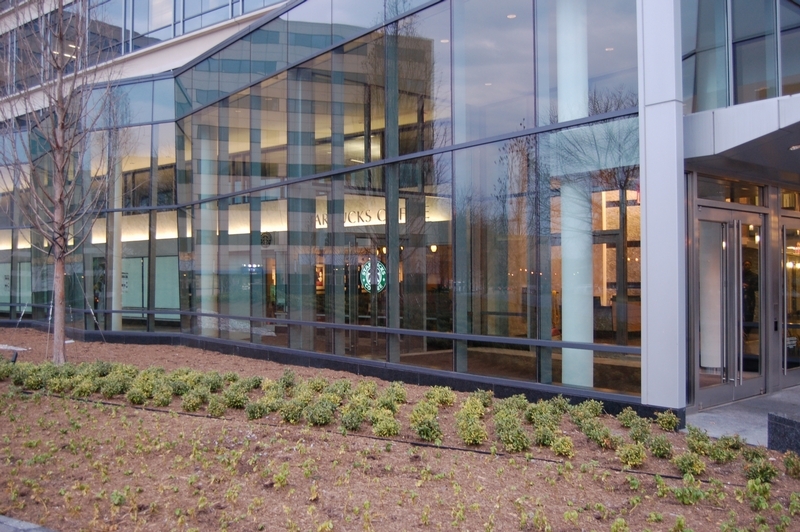 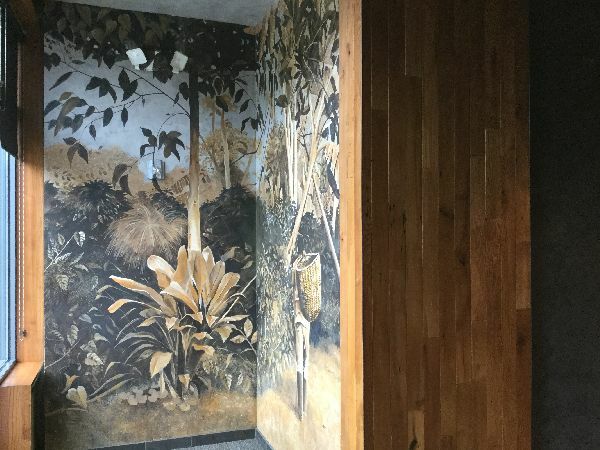 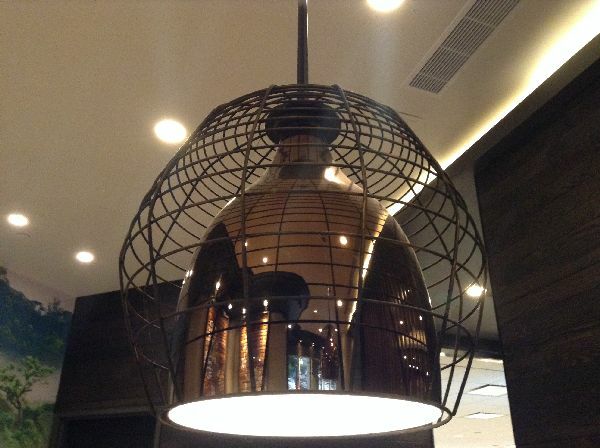 And remodeled, of course, with a LEED certification and some really unusual light fixtures. 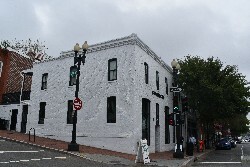 CLOSED - 10 October 2016 1401 New York Ave.